An Ice Cream and Hot Dog Spot on 66th and 1st. Off of Google Maps - It's now a DD but entry floor tiles are still there. I saw "peppermint park" and the song PALISADES PARK by FREDDY CANNON started playing in my head. Not sure why. 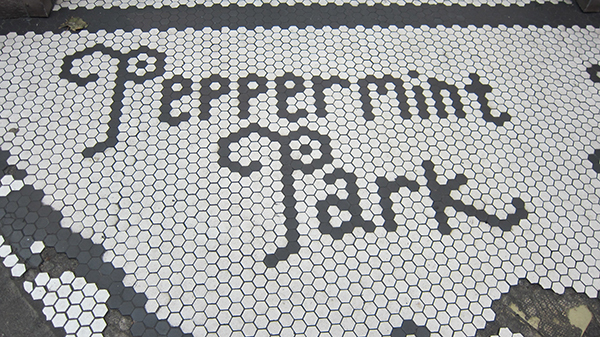 Kudos to Frankie for trying to keep Peppermint Park alive. This is a very important post. I think it speaks volumes about our troubled times. A real eye-opener to the injustices of our society. 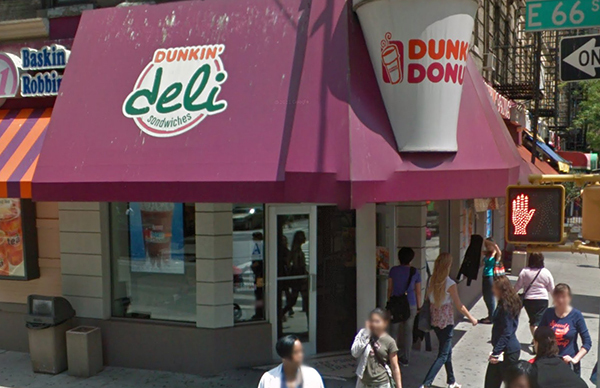 I mean, c'mon.... How come no one told me Dunkie D has Deli Sandwiches?!?!? This reminds me of an episode of Hey Arnold, where Arnold and Gerald get stuck in the coffee shops giant coffee cup.